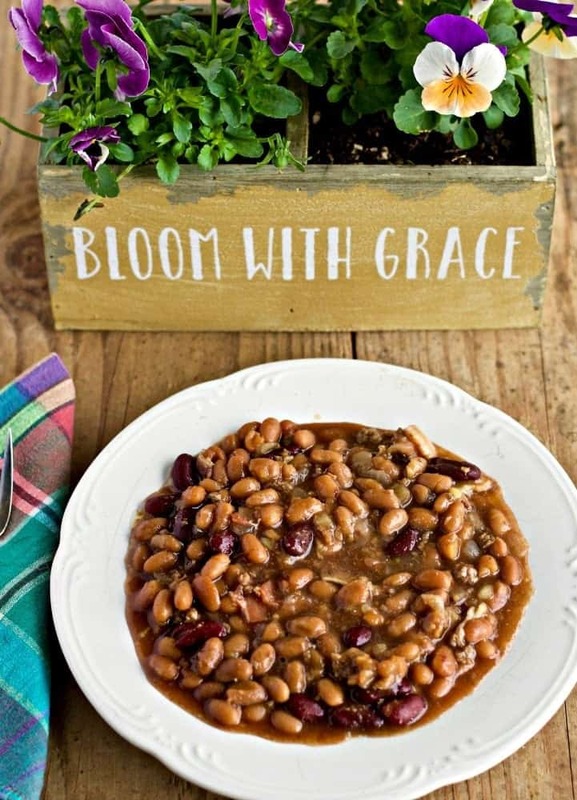 Grandma Cash’s Hamburger Bean Casserole is a must have on our family party menu. 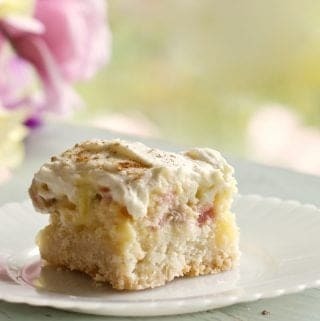 This recipe is now in our family’s second and third generation kitchens, as a “have to have” for summer events. This is an excellent High-Fiber, Dairy-Free, Gluten-Free side dish.I take this recipe along to a party, family picnic. It’s even been to a country style wedding reception. Leftovers? They are delicious. But you better make a double batch if you want some! Hamburger Bean Casserole is a VERY tasty bean dish your whole family will love! This recipe is an excellent grill side. Try it with Grilled Salmon kabobs, Grilled Sausage Zucchini Tomato kabobs or Nathan’s Italian Style Hamburgers for a delicious summer meal. My Grandma Cash was an excellent woman, full of the wisdom of the ladies of her age. A lot of that wisdom centered around her home and especially her kitchen. She was an amazing cook! 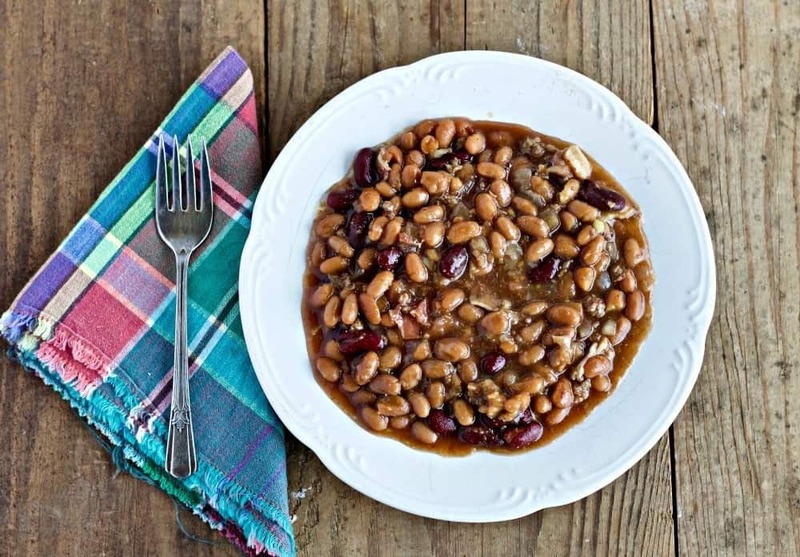 Grandma Cash’s Hamburger Bean Casserole is an easy grill side or lunch. But it makes a LOT! I learned a lot about canning and cooking from grandma. She was a big help to me when I was a young wife and mother. I came from the big city and decided to live in the country. Not just a rural suburb. We went out to seven acres of raw land in a tiny cabin. No electricity, NO running water. No phone! Cell phones were unheard of and computers were bigger than my cabin at that time. Can you say “NO SKILLS” for country living? Add two tiny kids, several hutches of meat rabbits and, of course, a large dog 🙂 I learned a lot! Fortunately grandma was generous with her knowledge of the country life. She knew how to garden, preserve and can food. And she COOKED LIKE HEAVEN: All on a very short budget. Exactly the kind of practical help I needed. I have made Hamburger Bean Casserole on my old wood cook stove, in an oven, and in my crock pot. I have an instant pot now so this recipe is going in there too. 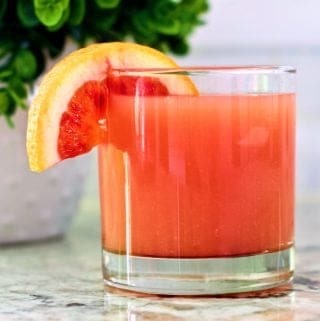 This recipe is versatile! This is DEEP DISH 13 x 9 casserole. The recipe as written fills it to the top. Cut this recipe in half for a small crowd. Unless you love the leftovers. 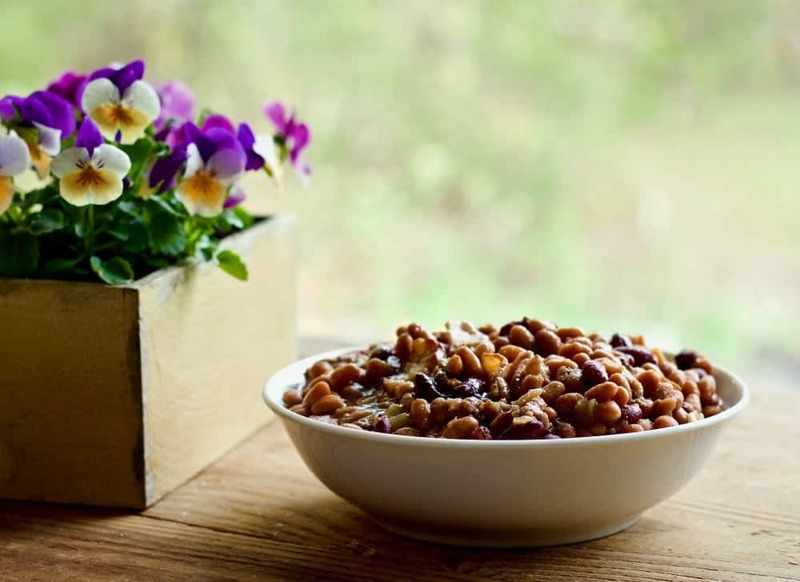 We can eat this bean dish happily for a week straight! Grandma’s Hamburger Bean Casserole is a family treasure. We remember her bringing this rich, thick, bean dish full of hamburgery-bacony, tangy-sweet flavor to our family events. Hamburger Baked Bean Casserole was always present right next to her Macaroni Salad at our summer family parties. I served it with glazed Ham and Bacon Cheddar Broccoli Salad at our Easter Celebration. It’s always a hit. Whenever we smell this dish cooking or see it laid out on a potluck table, we all say a little prayer of thanks for grandma. Now I’m the Grandma sharing this old classic with my grandchildren. The legacy continues. Hope you love it like we do! Hamburger Bean Casserole is a generational gift. I’m so blessed by my own granddaughter’s. Our Martin girls gave me these lovely flowers and container as a gift. Love it! Not health food but pretty healthy for party food. I recommend organic hamburger and natural unprocessed bacon. Yeah, Pork N Beans is what it is. You really do need it and the brown sugar to make this recipe taste the best. This is the 80/20 rule right here. Enjoy! Grandma didn’t have these new fangled kitchen tools we do now. I have included instructions for the crockpot and instant pot for you. Browning the meat and bacon beforehand is preferred for best flavor and texture. Put it all into a crockpot and set to high for 4 hours or low for 8 hours. Saute’ the hamburger and bacon until thoroughly cooked. Add remaining ingredients and give it a stir. Now set the instant pot on manual for 5 minutes. Natural release and serve! 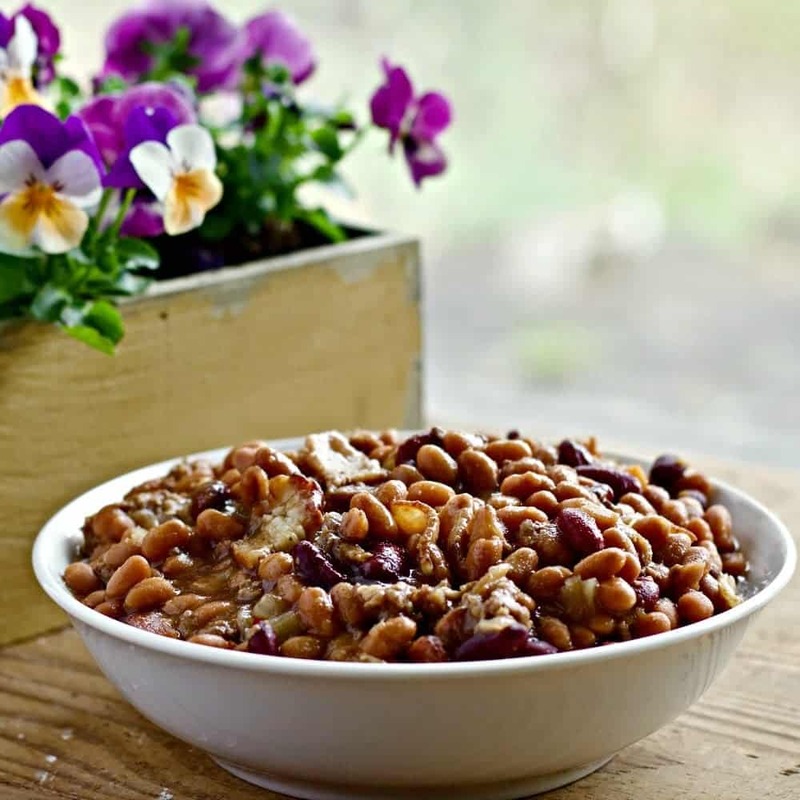 Hamburger Bean Casserole is a rich, thick healthy bean dish your family will love. 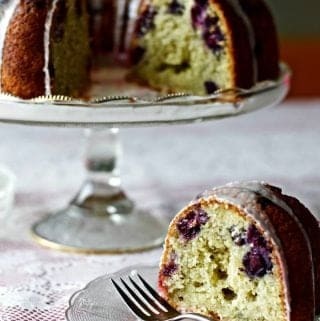 This is an easy crowd pleaser no matter how you make it. Or where. Seriously, make it on your Coleman stove or campfire. Take this one anywhere! Great with Barbecue! Get ready for requests for this recipe! 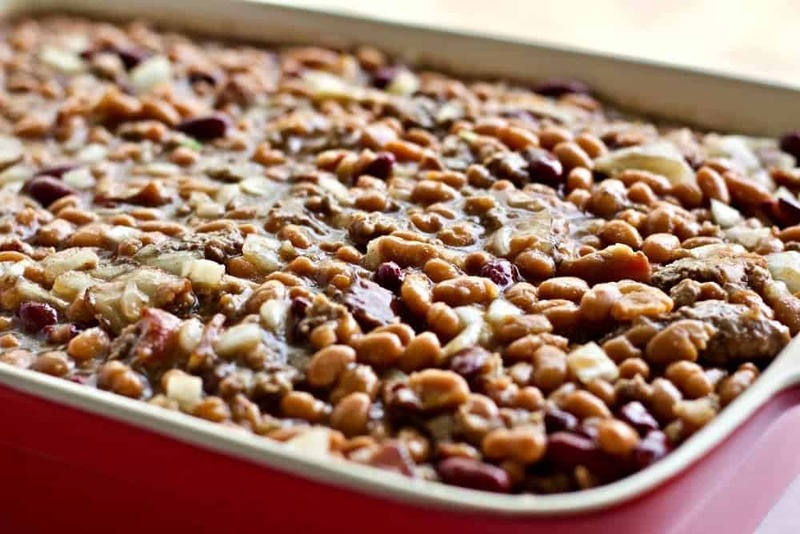 This delicious hamburger bean casserole is a favorite at potlucks and holidays. Full of wonderful smoky flavors. It vanishes FAST at a party. Main dish or side! Preheat oven to 350 degrees, if using. In a large skillet Brown and drain the hamburger, bacon and onion. In a small bowl, Mix together brown sugar, vinegar and dry mustard. Browning the meat and bacon beforehand is preferred for flavor. Put it all into a crockpot and set to high for 4 hours or low for 8 hours. On saute' function-Brown the hamburger and bacon until thoroughly cooked. Set the instant pot on manual for 5 minutes. Natural release and serve. Use the keep warm function for a long event. You can also use the slow cook function on your instant pot if you prefer. Saute' as instructed and then set the instant pot on slow cook function for whatever number of hours you need and place an instant pot vented lid on top. 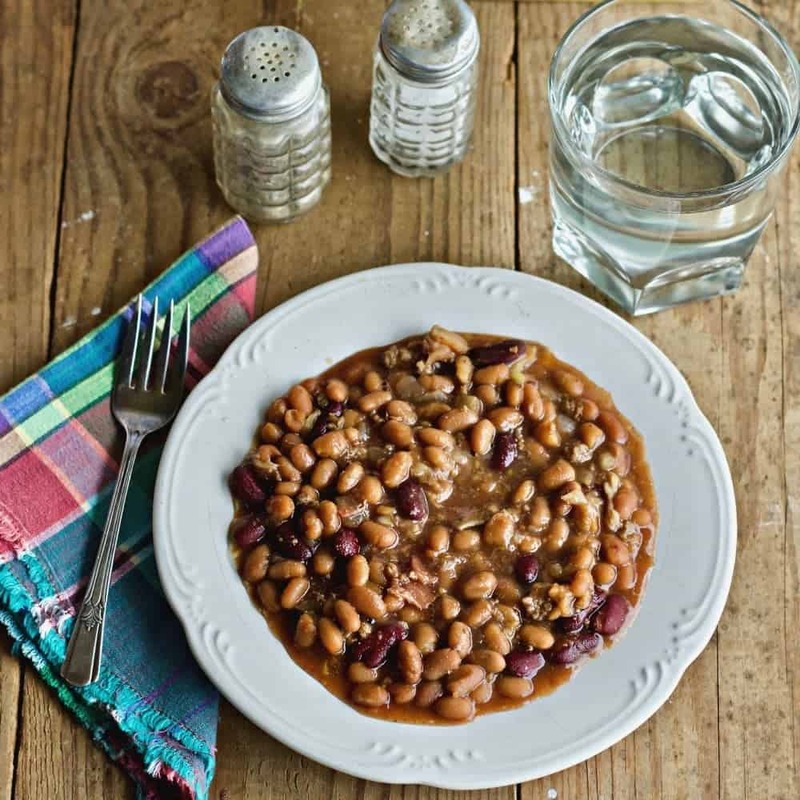 This is a gluten free recipe IF you use gluten free baked beans and pork and beans. 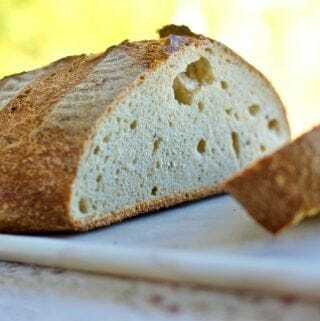 This recipe is a repost with all new pictures and updated instructions to include the Instant pot. Enjoy! I love this casserole! I have made it several times. I use Bush’s bold & spicy beans for one of the cans of baked beans.yummy!! Hi Janice, Thanks for the spicy beans Tip! And the great review. So glad you love this recipe and it worked well for you. It goes to all our family gatherings. Can you put small, medium and large into ounces?? Hard to shop for the right amount I’m can! Hi Misty, Of course! How silly of me. I have updated the recipe for you. Please let us know how you like it and have a great day! Do you fry the Hamburg first??? Yes I do brown the hamburger before I crock pot it Bonnie. It may not be necessary but I prefer the texture when it’s browned. Thanks for the question. Let me know if I can help you in any other way. And have a great day! I’d love to know how this turns out for you!